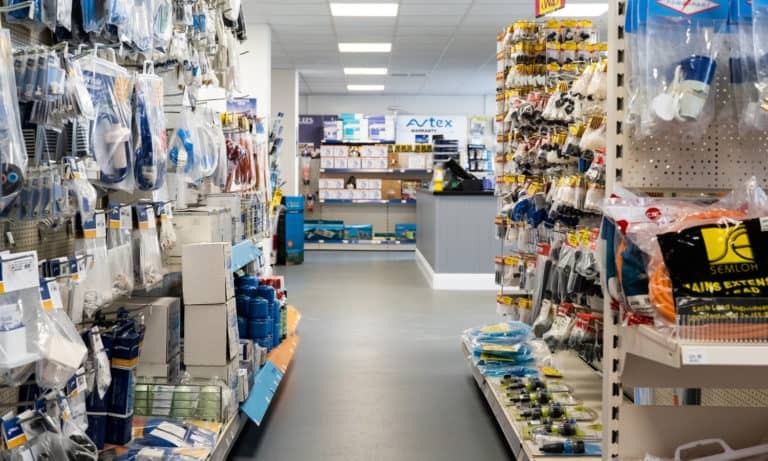 Offering much more than just parts, our on-site shop stocks a wide range of competitively priced motorhome accessories, plus a selection of camping essentials from leading brands. We know it’s often the little things that enhance your touring or camping experience and help your trip run smoothly. Which is why our on-site accessories shop stocks everything from camping chairs to slimline HD televisions. And, if there’s something you’re after that isn’t on our shelves, we’ll order it in for you – often with delivery directly to you the next day. Our friendly, knowledgeable staff are always on hand to offer advice, and work closely with our Service Centre technicians to provide guidance and prices for fitting, if required. Just like our on-site shop, our eBay shop offers an extensive range of motorhome parts, accessories and camping essentials, all at hard-to-beat prices. It’s perfect for customers who don’t live near Reading, or who simply prefer to shop from home. Find a fantastic range of motorhome essentials, parts and accessories from our dedicated motorhome eBay shop. Dometic is the largest supplier of mobile comfort products for caravans and motorhomes, supplying to more than 100 countries around the world. At Webbs we are able to supply and, where appropriate, fit a range of Dometic products including refrigerators, cool boxes, freezers, awnings, climate-control products, sanitation products, windows, doors, minibars, LPG refrigerators, water purifiers and more. Truma’s many years of experience of working with caravans, mobile homes, commercial vehicles and boats are reflected in high levels of technical expertise and high-quality products. The company’s impressive range includes liquid gas heaters, warm air systems, air conditioning equipment, boilers, caravan movers, lamps, valves, gas pressure regulators and a wide selection of accessories. Gaslow portable gas systems are ideal for motorhomes, caravans and boats. The company manufactures three cylinders, all of which meet the stringent R67 tank standards – including a bonfire test – making them the safest, most reliable refillable cylinder range in Europe. Safefill offers user-owned and lightweight refillable LPG cylinders in small, medium and large sizes. The translucent bottles allow you to see how much gas is left, while the automatic overfill protection device prevents filling beyond 80% for ultimate safety. AL-KO produces an extensive range of chassis components, premium accessories and spare parts that are engineered to last. Whatever AL-KO product you have purchased, you’ll benefit from the company’s generations of development and enjoy a lifetime of service. Milenco Limited is Europe’s leading manufacturer of award-winning high-security caravan wheel clamps, hitch locks, caravanning steps and towing mirrors. Milenco also produces a wide range of quality accessories for all your caravan and motorhome needs. Powrtouch is the UK’s number 1 caravan mover, manufacturing two main products – the original Powrtouch Classic and the Powrtouch Evolution. The Classic provides manual engagement for single-axle caravans, while the Evolution is available with both manual and automatic engagement for all single- and twin-axle caravans. Avtex has been the trusted name for mobile-leisure specific TVs in the UK for over 25 years. The company’s dedicated team design TVs with the mobile user in mind. Sleek design, high-quality componentry, rigorous testing, excellent viewing standards and cutting-edge features are the hallmark of Avtex products. Fiamma is a leading company in manufacturing technical accessories for motorhomes, caravans, van conversions and campervans. The extensive product range includes awnings and enclosures, bike racks, LEDs, roof boxes, ladders, carry-all bars, safety blocks and security handles, roof lights, portable toilets, pumps, tanks, levelling systems and much more. Vision Plus manufacture and distribute a range of television antennas and associated products to the caravan, motorhome and marine market worldwide. Quality is core to the company’s philosophy, along with their goal to continually improve their products, service and position in the market. Thetford has been developing and manufacturing mobile toilets and kitchen solutions since 1960. The company develops its toilet fluids and maintenance products in its own laboratories, and operates in-house testing facilities for all its products. Calor is the largest supplier of butane, propane and patio gas cylinders in a range of sizes. Each Webbs branch has a number of Calor cylinders in stock at all times, but if you urgently need a specific cylinder type and/or size, we recommend that you call to check availability before visiting our shops. Cadac have been in business for over seventy years and are known for product quality and innovation when it comes to all thing BBQ! Cadac have a wide range of products and have won international awards for innovation and excellence over the years. Their mission is to design and manufacture products that maximise the enjoyment of the BBQ experience with family and friends or as they put it – to ‘Live the Braai Life’!